If corrosion on your faucets caused by hard water has caught your attention, there may in fact be more damage than you realize. The best way to alleviate the problems caused by hard water is to install and utilize a water softener. Water softeners perform a process called ionization, thereby replacing magnesium and calcium ions with sodium ions. Reverse osmosis performs a similar task, relying on a filter to go in and remove contaminants in the water. Reverse osmosis filters and a water softener conditions the water, making them great a complement to one another. At The Bosworth Company, we sell and install only top-of-the line products. You can buy or lease a water softener, and all leased products come with FREE installation* and maintenance. The products are installed by one of our fully licensed water treatment experts. The Bosworth Company’s partnership with the Water Quality Association enhances the knowledge base of our water treatment experts. The Water Quality Association allows us access to a plethora of industry-specific information, high-quality training programs, up-to-date tools and tactics, and interaction with peers around the globe. 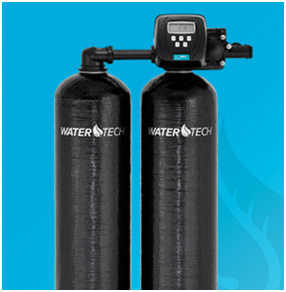 WANT TO KNOW MORE ABOUT YOUR WATER SOFTENER OPTIONS? CONTACT BOSWORTH TODAY! for a FREE evaluation or estimate or request service online today!